NOAA announced today it has determined the probable location of the remains of the Civil War-era sidewheel steamer Planter, which gained national fame in 1862 when a group of enslaved African Americans commandeered the Confederate Navy transport ship in a daring escape to freedom. The announcement was made in Charleston, S.C., where NOAA's Office of National Marine Sanctuaries released a report on its search for the Planter and plans for an interpretative sign and future exhibit dedicated to the Planter's legacy. The effort to find the Planter supports NOAA's >Voyage to Discovery initiative, which seeks to highlight African-American maritime history through education, archaeology, science and underwater exploration. 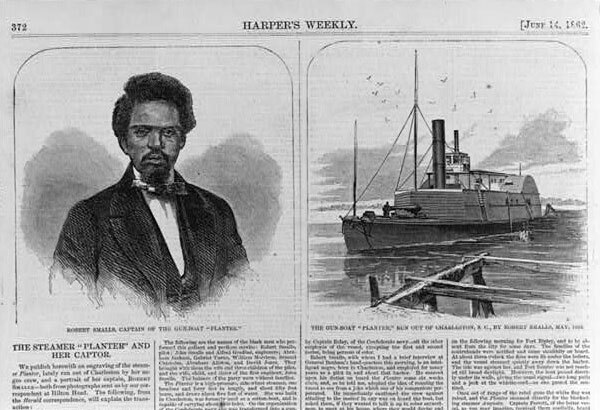 Under the leadership of Robert Smalls, the ship's steersman, crew members navigated the steamer out of Charleston Harbor on May 12, 1862, and delivered the vessel to the United States Navy. The New York Herald called the escape "one of the most daring and heroic adventures since the war was commenced." The notoriety generated by the escape and capture of the Planter led to Smalls eventually becoming the first African-American master in the U.S. Navy and a member of Congress representing South Carolina – the state where he was born a slave. NOAA's report helps fill gaps in the largely untold story of Robert Smalls and the Planter, which wrecked on a beach in March 1876 while trying to tow a grounded schooner. In an attempt to answer lingering questions about the Planter's fate, NOAA researchers reviewed historical documents and analyzed oceanographic and meteorological conditions that may have existed at the time of the Planter's loss. The likely site where the vessel came to rest, off Cape Romain between Charleston and Georgetown, S.C., was confirmed with magnetometer and hydro-probing surveys that detected the presence of large concentrations of iron consistent with the remains of a sunken ship. The vessel's remains are buried under 10-15 feet of sand and water in an environmentally sensitive area in Cape Romain National Wildlife Refuge. "Our interest in finding the Planter is about more than just unlocking the past and secrets of the deep," said Daniel J. Basta, NOAA's Office of National Marine Sanctuaries director. "This expedition is an opportunity to highlight African-American contributions to the country's maritime heritage and inspire young people to consider careers in marine science to help expand the boundaries of ocean exploration." Following Smalls' commandeering of the Planter on May 12, 1862, the ship continued to be used by the U.S. Navy as a dispatch and supply vessel with Smalls as pilot. However, by September of that year, the Navy transferred the craft to the U.S. Army Quartermaster Corps, where it supported Army operations around Charleston, Port Royal and Beaufort. News accounts suggest that after the war, Smalls and the Planter were well known among local African Americans. As the Planter's captain, he transported many freed slaves to newly created farmsteads and communities at Hilton Head and Port Royal. With Smalls at the helm, the Planter was reported as the ship that carried black dignitaries and passengers to the ceremony of the symbolic raising of the Fort Sumter flag which had been lowered after the fort's capture by the Confederates. On March 25, 1876, while trying to tow a grounded schooner, Planter sprang a plank in the bow and began to take on water in the hold. The captain elected to beach the steamer and repair the plank, hoping to get off the beach with the next high tide. However, stormy seas battered the Planter as the tide rose and the ship was too badly damaged and had to be abandoned. 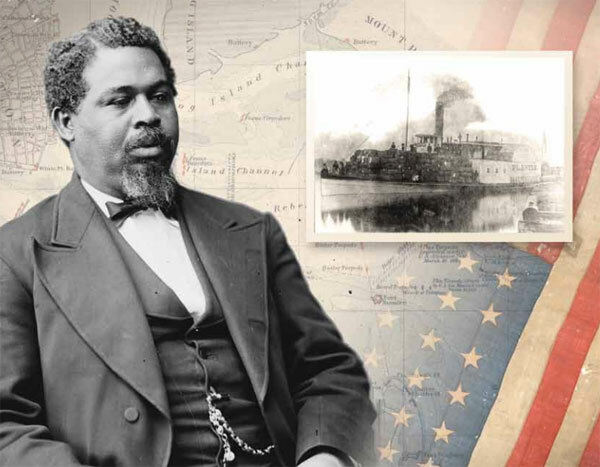 Upon hearing of its loss, Robert Smalls was reported to have said that he felt as if he had lost a member of his family. A copy of the report are available for download. NOAA's mission is to understand and predict changes in the Earth's environment, from the depths of the ocean to the surface of the sun, and to conserve and manage our coastal and marine resources. Join us on Facebook, Twitter and our other social media channels.